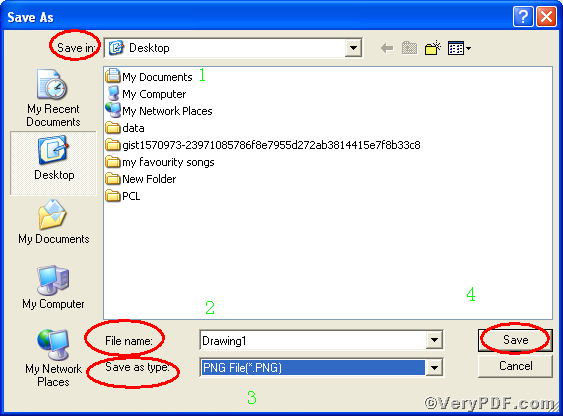 ← How to convert DOC to JPG via command line? The VeryPDF.com has always been asking “Is there a tool available to print how to print files of AutoCAD to png”? The answer is confirmative. In order to let these people holding the same question know how to print AutoCAD to png, the VeryPDF.com offers you Document Converter, it offers you docPrint PDF Driver, which allows you to print your files to more than 50 document formats. Document Converter is functional software, which makes the conversion from flies to more than 50 document formats available. The format has a wide range such as BMP, JPEG, PCX, just name a few. It also a software of multi-languages, allowing people worldwide to download and purchase. Below is the detailed procedures of printing files of AutoCAD to png. 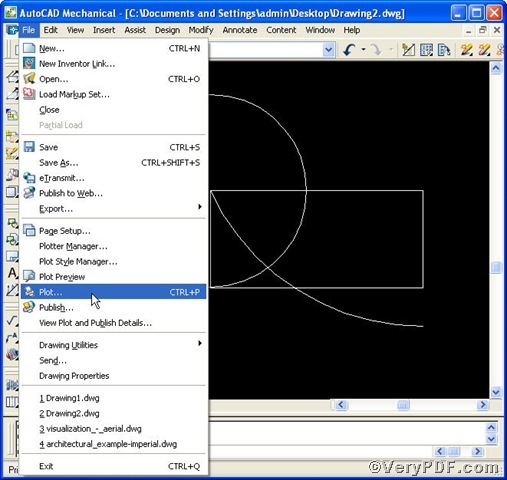 Please open a DWG file with AutoCAD, and select [File] –> [Print] as shown in the Picture 1. And then you will see a dialog box “Plot” as displayed in the Picture 2. 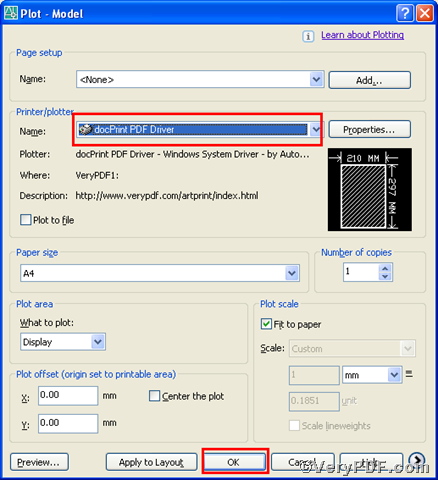 In the dialog, select “docPrint PDF Driver” in drop-down list and press [OK]. Waiting for a while, you will see [Save as] dialog popping up, like the Picture3 shows you, where, you can define your output file, PCX. For one thing, choosing a directory for the output file in “Save in ” drop-down options. 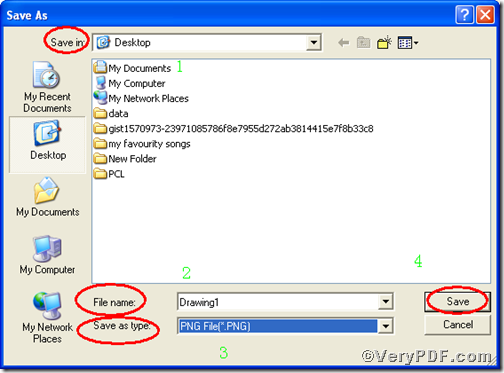 For another, type a name in “File name” and choose the format, PDF, in “Save as type” drop-down list. Finally, press “Save” to save all the changes you have done. How to convert MS Visio to png? This entry was posted in docPrint Pro and tagged docPrint PDF Driver. Bookmark the permalink.